Pick up a dropped stitch in the row below by using a knit stitch or purl stitch. 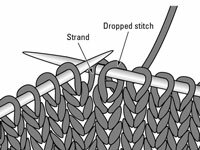 To pick up (fix) a dropped stitch by using the knit stitch, you first find and secure the dropped stitch. 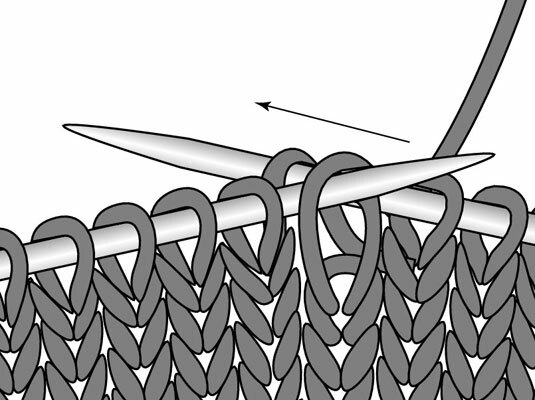 Continue knitting the current row until you reach the secured stitch directly below. Now, with the knit side of your work facing, you can fix the dropped stitch. 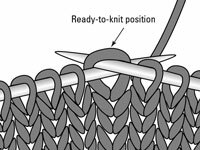 1Insert your RH needle into the front of the dropped stitch. Look behind the stitch. You’ll see the horizontal strand of yarn that didn’t get pulled through. 2With the RH needle, go under the unworked strand from the front. 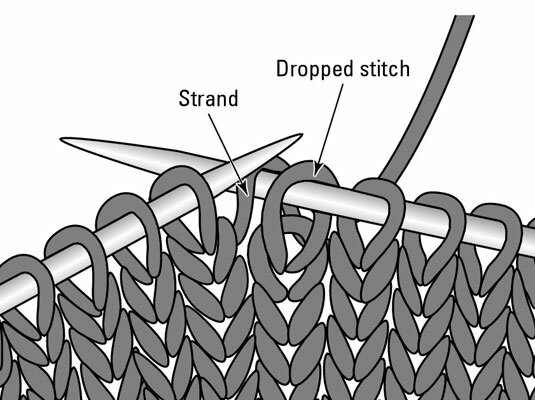 Both the strand and the stitch are on the RH needle. 3Insert the LH needle into the stitch from the back and pull it over the strand. You’ve just “worked” the stitch that was dropped in the last row. 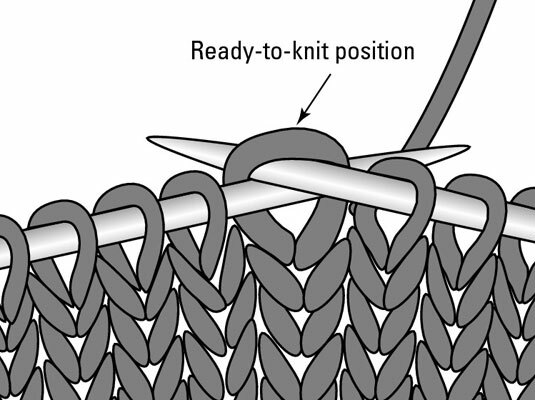 4Put the new stitch on the LH needle in the ready-to-knit position and knit as normal. Check to make sure that you’ve made a smooth knitted V stitch.